Apart from these extras, everything else is included. A yacht charter has expenses and a lot of them. You are considering taking out a floating hotel with an entertainment and sports facility with you, as well as a private restaurant. When you consider these facts, as well as the operational and management costs for preparing, monitoring and concluding your vacation, it is evident that there will be some expenses included in your contract. A charter contract usually includes the various expenses, and the only addition you pay for are extra items you might need that are not included as well as fuel costs if you go over the accepted limits. Your private chef might require unique ingredients, as well as your barperson needing boxes of special drinks you might ask for. Apart from these extra’s, everything else is included. Another factor in pricing is the season. When there is a saturation in demand, then the season is high, and prices go up accordingly. When there is a lull in demand, then the season is low, and prices are set accordingly. Some yachts are not affected by seasons, these are the mega yachts, and you pay what the owner demands irrelevant of the season. Here is a breakdown of the yacht charter expenses and fees, which you will always see attached as an addendum to your charter contract. The contract is the document that outlines your costs. Everything else is irrelevant, you only pay according to the contract you sign. 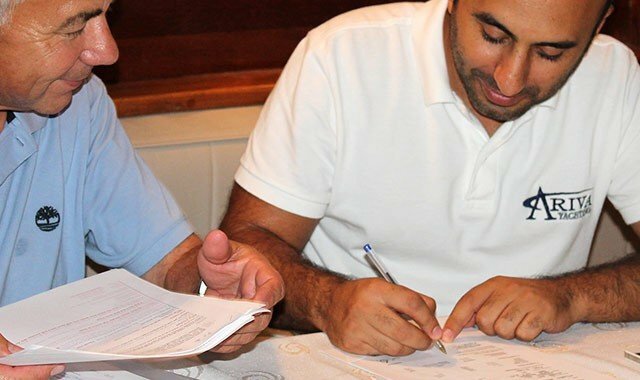 Charter contracts are usually very similar, and in Turkey, the contract type is usually an MYBA (Now Worldwide Yachting Association (WYA), formerly known as Mediterranean Yacht Brokers Association) contract. This contract sets out the base charter fee, the extras, the insurance and all other considerations that the yacht owner wishes to state within the contract. In essence, most MYBA contracts stipulate all-inclusive terms, where fuel and food, beverages and docking fees are extras added onto the BCF (base charter fee). In general, you should consider that an additional 25% to 50% will be added to base charter fee based on these contracts. In some instances, yacht owners and brokers around the Mediterranean and Aegean sea will use the less popular Standard Eastern Mediterranean Terms (SEMT) and Greek Terms (GI). 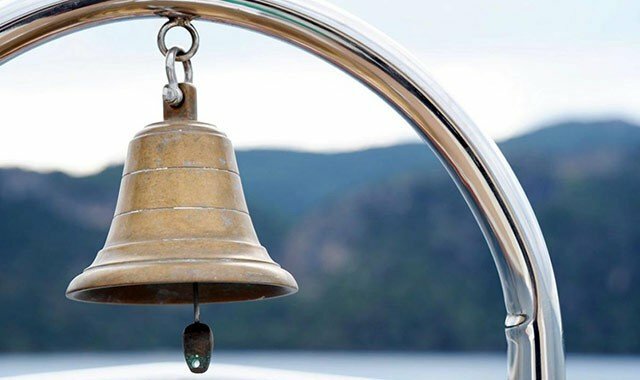 Our page on yacht contracts discusses the differences in the contracts. The base charter fee is the basic cost of chartering the yacht. It includes the yacht owners expected expenditure over the period of the charter. It includes the expected operating costs for the period of the charter. All extra requests will be added on top of the base charter fee, and this fee does change during seasons. Seasons in this respect refers to high demand periods versus low demand periods. You will also find that fuel and port fees are an additional expense. This is because fuel usage and port visits vary per clients request. All contracts integrate the Advance Provisioning Allowance (APA) platform. This is a tracking system that requires an initial down payment of the expected extra costs to cover the base charter fee. In essence, it is a derivative projected from the unique demands each client makes when chartering a yacht. Rule of thumb is that the APA will be approximately 25% to 50% of the base charter fee. However, if you make special requests that include expensive food, extra sport and recreational equipment and other items, the APA will increase to include those extras. The APA is paid a month in advance of the charter period, this gives the captain and crew time to prepare and purchase the extra items, provisioning them for your vacation. If you want to know what has been spent, you contact the captain, and you will receive a detailed account of the APA expenditure. Take note that fuel and food are charged at cost rate, which means that there is no profit on these items when purchased. Any remaining funds from the charter will be refunded after the vacation is concluded. Fuel and dock fees are an extra expense. They are not included in the BCF, this is due to the unique nature of each charter. Weather conditions that affect sailing as well as the number of water sports that require fuel such as water skiing that has to be factored as and when they occur. Port fees are determined by every port visited, and on some occasions, these change based on client requests. Port fees can also vary due to local port authority rules and regulations. Insurances are not included in the BCF or APA. This means that you need to take out the necessary travel insurance as well as Charterers Liability Insurance or Cancellation and Curtailment cover. VAT is payable in the EU, so when visiting European destinations, you will be required to pay VAT when you purchase items on shore. 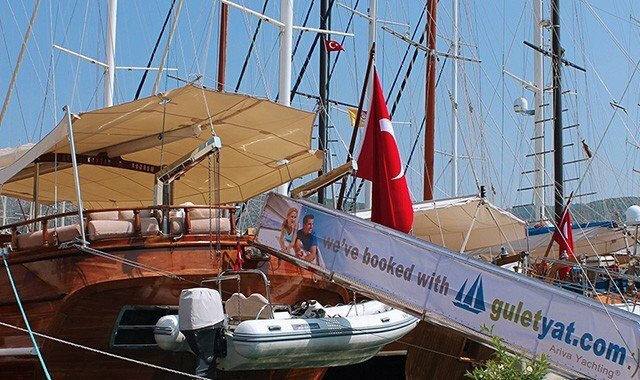 Apart from other yacht charters, usually gulets work as fuel included. Also they do not require APA or similar extra budget. All expences may be proviveded in charter agreement in advance. You can get support from your charter broker for more informations. Charter yacht contracts are a secure method for outlining and specifying the responsibilities and list of services that the yacht owner must provide, as well as the general terms of the services that the broker must manage for the customer. 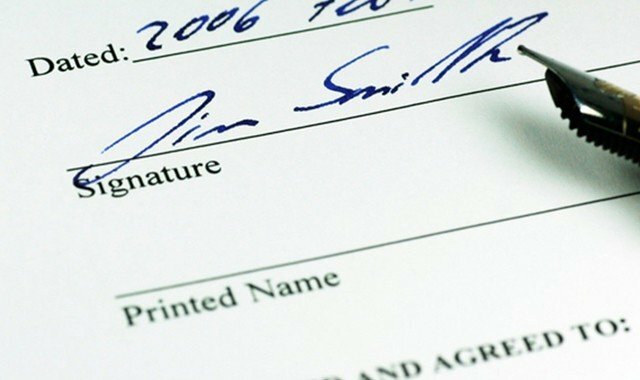 The contract also stipulates the legal requirements that customers must adhere too while enjoying their time on the yacht they are chartering.